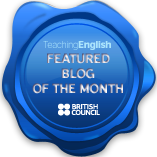 A great list of inspiring TED talks for ESL learners. TED is a series of informative, educational, inspiring and sometimes jaw-dropping talks that present ‘Ideas Worth Spreading’. Ted has attracted many of the world’s most important thinkers such as Larry Page, Bill Clinton, Bill Gates, Ken Robinson, and a few winners of the Nobel Prize. There is an emphasis on informing, educating and opening people’s eyes to new ideas, making them perfect for the classroom. Students love these talks and really appreciate it when you take the time to make a lesson out of them. Teenagers, being the ‘YouTube generation’, also find them highly engaging and motivating. They come with transcriptions in most common languages, allowing students to read what they have listened to in English or their native tongue.